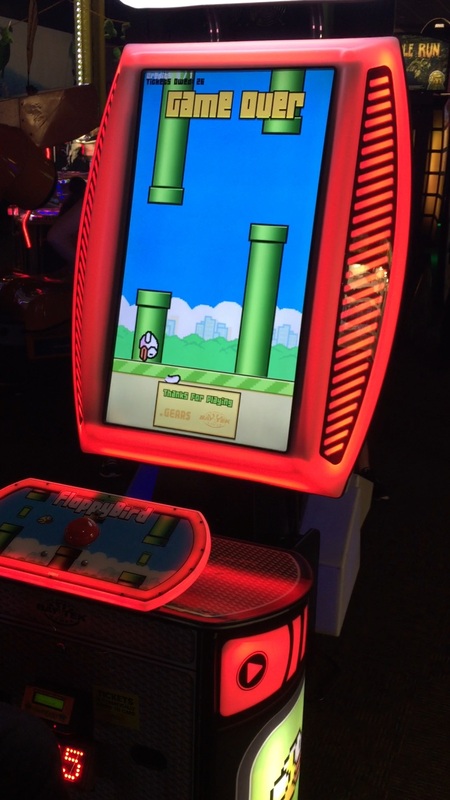 Flappy Bird Arcade — Welcome to the GameSalad forum! Anybody ever hear of Incredible Pizza Company? 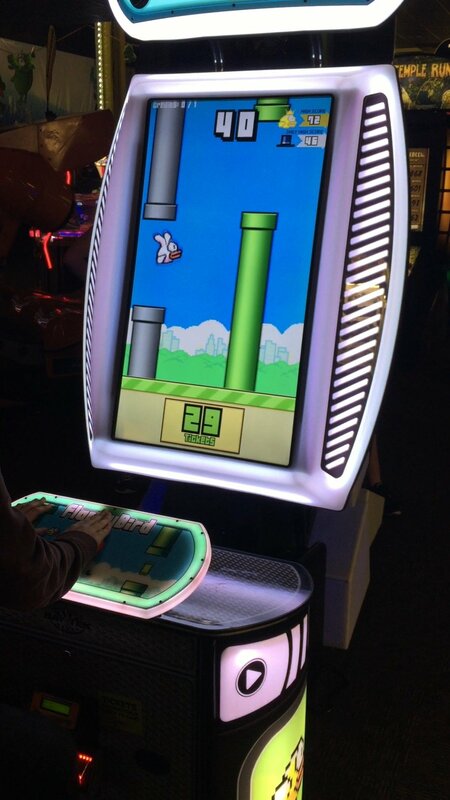 It's a Mega Arcade basically that sells pizza...I was at a birthday party last night there and guess who was there....yep Flappy Bird...as well as Fruit Ninja and other "mobile games...all displays were either portrait or landscape. Kind of blew me away. Is that real? If so thats crazy! Edit...I remember now...The original Doodle Jump was there and falling down also. 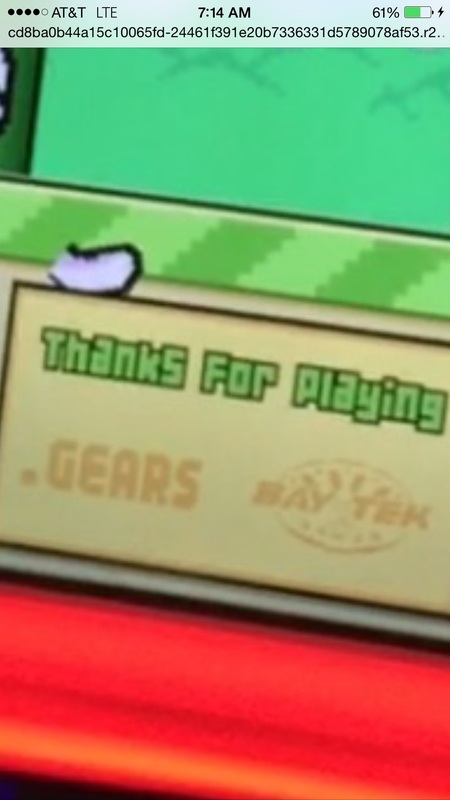 I guess it's Gears and someone else. Yeah, I've seen those machines at a Dave N' Busters too. I flew the other week and was supprised to find bejewelled on the inflight entertainment tv! I wouldnt like to be sat in the seat of someone swipping the touch screen every 3 seconds on a 10 hour flight! 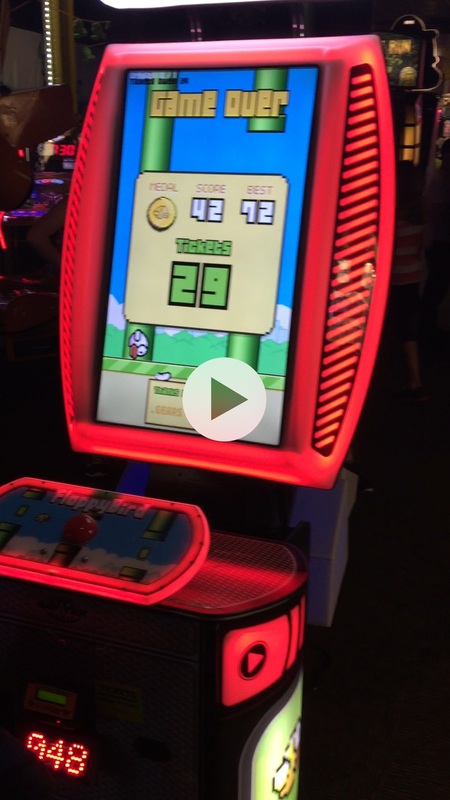 There was a flappy rip off at Dave N' Busters as jamie said. At least it was different than flappy slightly, could still be .gears though. The birds had light trails behind them and helmets on their head. The pipes got closer together the further you flew . Don't play it. Wow, that's so cool! I haven't been to an arcade in ages. It's funny to see retro-styled games still being used for those machines. I'd assumed that they'd all be pushed aside in favor of newer games with 3D graphics.